High of 88 degrees and a mixture of fun and productivity and personal endeavors and progress!! Firstly, I got to spend a couple of hours this morning with the sweet Karen C. who helped me start my journey of tackling my favorite song from R&M: Do You Feel It? by Chaos Chaos. It's amazing. I feel like I'm at a first grade (max!) level when it comes to reading music and Karen's there are college graduate level reading and performing a beautiful piece without having even ever heard it before~!!! 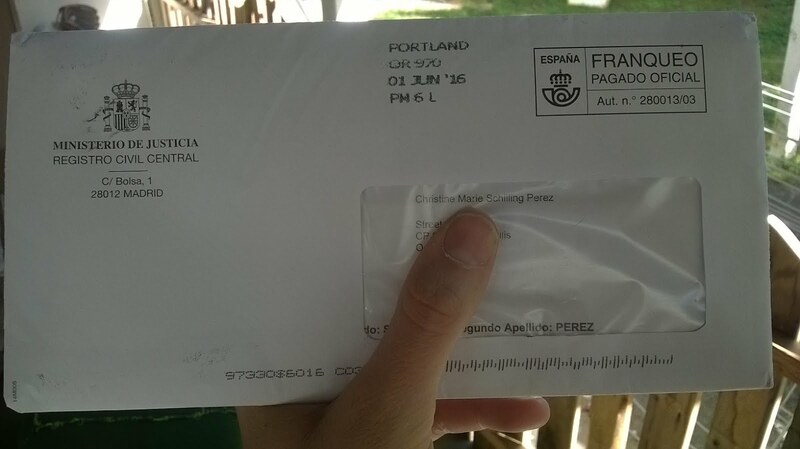 It's a new copy of my Spanish birth certificate which was the last piece of documentation I needed to be ready for our cita with the Spanish Consulate in two weeks in San Francisco. After anxiously waiting two months for this, I am finally all ready for proceeding with getting the kids' Spanish citizenship arranged and even getting our own Libro de Familia -- buya!!! We also topped the night off with pizza and wine, so I'm gonna sign off early tonight. Thanks for stopping by, take care and Happy Certificado Literal de Nacimiento! !